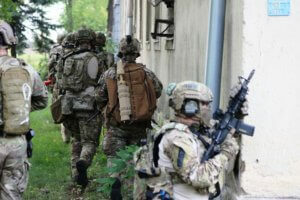 Spectra Group, UK and US-based communications specialists, will be delivering full updates on their SlingShot technology and their participation in the US Army Expeditionary Warrior Experiments (AEWE 2019) at the Global SOF Symposium taking place 5-7 March 2019. This exclusive event will see US and international special operations leaders gathering in Tampa, Florida, to focus on strategic security issues, innovation, and relationship-building. Spectra is an internationally renowned specialist provider of secure voice, data and satellite communications systems. Their US arm, Spectra Group (US) Inc, were selected for AEWE 2019 by the US DoD following impressive contract successes in the US. The AEWE, fielded by the US Army Maneuver Battle Lab at Fort Benning, focuses on small unit modernization, providing capability developers, the Science and Technology (S&T) community, and industry with a repeatable, credible, rigorous, and validated operational experiment, supporting both concept and material development. The AEWE places cutting-edge prototype technologies into the hands of soldiers, providing bottom up input to capability development through early and iterative feedback in a tactical setting. Selected for AEWE 2019, Spectra’s game-changing SlingShot is a unique, lightweight and low-power system that enables existing, in-service tactical military and commercial VHF/UHF radios to utilize commercial L-band satellite coverage. The technology delivers BLOS Comms on the Move (COTM) with low-latency voice and data connectivity to radio networks for ground, vehicle, maritime or airborne platforms, with or without encryption. SlingShot’s unique capability provides reliable, secure communications between widely dispersed military forces and/or civilian agencies operating in austere environments, without the delay or logistical challenges of deploying additional infrastructure. Spectra’s invitation to participate in the Global SOF Symposium and AEWE 2019 validates the Group’s continuing commitment to developing and delivering technologies that meet the exacting demands of US and international Special Forces’ requirements. Chamois Consulting are proud to announce that they are expanding their team by taking on as Principal Consultant for PR & Media, Taniya Morris. Taniya joins Chamois after a diverse military career, followed by a period of independent travel and adventure. Having served over 20 years in the Army as a logistician, helicopter pilot and staff officer, Taniya has extensive knowledge of military operations, requirements and technology. 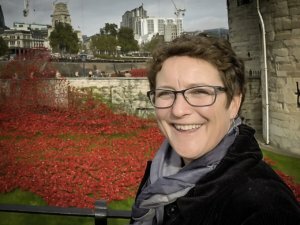 Her career also included Advanced Staff training, where she obtained Masters Degrees in both Defence Studies and Military Technology. Jamie Clarke, Director and Founder of Chamois Consulting said: “We are delighted to have Taniya on the team at Chamois. Taniya has a passion for communication that, combined with her depth of military and technical knowledge, will serve our current and future client base exceptionally well”. He added: “We’ve grown fast in the last few years and we have plans in place that will see us grow even more in the next 12 months and beyond. Bringing Taniya on-board will allow us to further expand our client portfolio whist maintaining our current high levels of client satisfaction”. 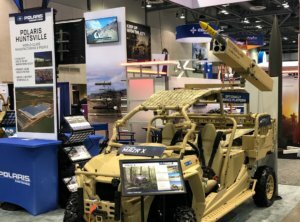 Arnold Defense, the St Louis based manufacturer of 2.75-inch rocket launchers, will be at this year’s International Defence Exhibition and Conference (IDEX 2019) to showcase the FLETCHER Laser Guided Rocket Launcher. 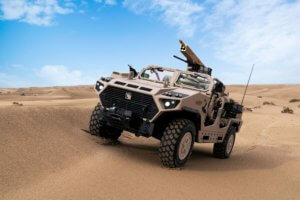 IDEX 2019 will take place 17-21 February 2019 at the Abu Dhabi National Exhibition Centre (ADNEC) and the FLETCHER 2.75-inch/70mm weapon system will be mounted on NIMR’s AJBAN Long Range Special Operations Vehicle (LRSOV) on Stand Number 05-A05. Arnold Defense’s FLETCHER weapon system, first unveiled in 2017 at London’s DSEi Exhibition, has completed rigorous test-firing protocols, with laser target designation from both ground and air platforms, and is now in initial production. 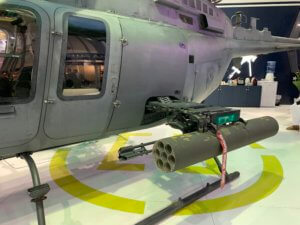 With FLETCHER, Arnold Defense has made a bold departure from the traditional concept of use for 2.75-inch rocket systems; that of an area suppression weapon ordinarily delivered by aviation assets. 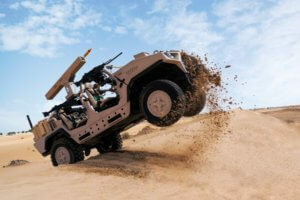 Arnold’s evolution has FLETCHER using advanced rocket-guidance technology to utilize ground-based launch platforms, meeting the demands of modern, vehicle-mounted and dismounted asymmetric warfare. FLETCHER’s unique design allows for ease of operation, maintenance and sustainment. It employs an existing suite of guidance modules, rockets and warheads, already used in well-known programs and readily available to global forces. FLETCHER recently successfully completed a four-round live firing using multiple airborne laser platforms, confirming the ability to use laser designation from ground and air from various angles and offsets to a distance nearly 6km. Following exceptional levels of interest expressed in FLETCHER, Arnold Defense is also developing a number of supplementary ground and maritime-based concepts. These exciting new concepts will expand FLETCHER’s utility into the arena of Unmanned Ground Vehicles (UGV), naval and littoral platforms. It his anticipated that the first of these integrated systems will be unveiled within months. FLETCHER is supported by a team of global defense industry companies, collaborating under Arnold Defense’s leadership to combine their complimentary expertise. The team is able to provide a full-system approach to FLETCHER; incorporating design, validation, testing, manufacture and full-system integration within a wide range of ground-to-ground engagement scenarios.